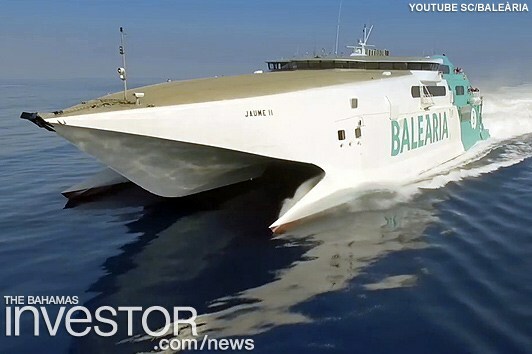 NASSAU, Bahamas — The shipping company Baleària Caribbean will be adding the fast ferry Jaume II to the route between Fort Lauderdale and Freeport, Grand Bahama, to replace the Jaume I as of mid-January, The Bahamas Investor website reported January 8. Jaume II was re-engined in 2017 for greater energy efficiency and service reliability as well as a higher speed. This fast ferry sails at 35 knots and will complete the route in two and a half hours. The first trip will be during this month, departing at 8 a.m. from the Fort Lauderdale port for Freeport.